Meade's EclipseView™ Line of telescopes are ideal for “grab-and-go” observing for an excellent value! What makes EclipseView™ so great? They are for use both Day and Night! 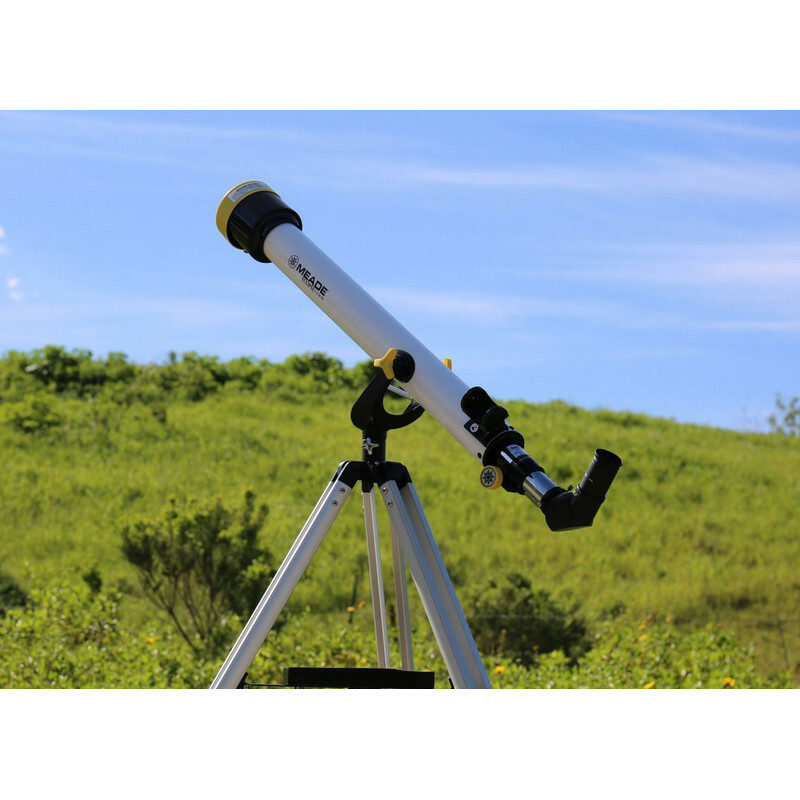 You can now view the Sun, Moon, Planets, and more with just one telescope! Both SAFE and FUN for everyone. EclipseView™ comes with a removable white-light filter for daytime use and when the Sun sets, just simply remove the filter, change the viewfinder and BAM...enjoy the night sky! Use BOTH Day & Night: See the craters of the Moon, planets, and the Sun! ISO Certified Solar filter for safely viewing the Sun: Solar filter blocks UV & IR which is perfect for viewing sunspots and more! The AC 60/800 OTA is a very popular entry-level instrument - its 60 millimetres aperture objective lens allows you to explore the night sky in some detail. 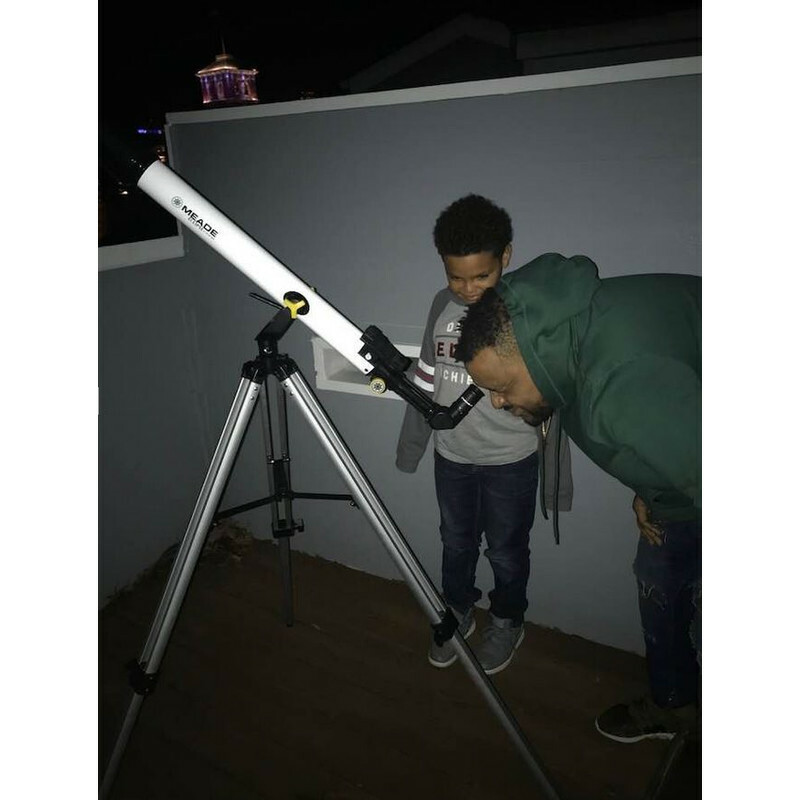 This instrument lets you see many more stars than with the naked eye alone, and lets you marvel at the famous Orion Nebula or the Andromeda Galaxy with its companions. 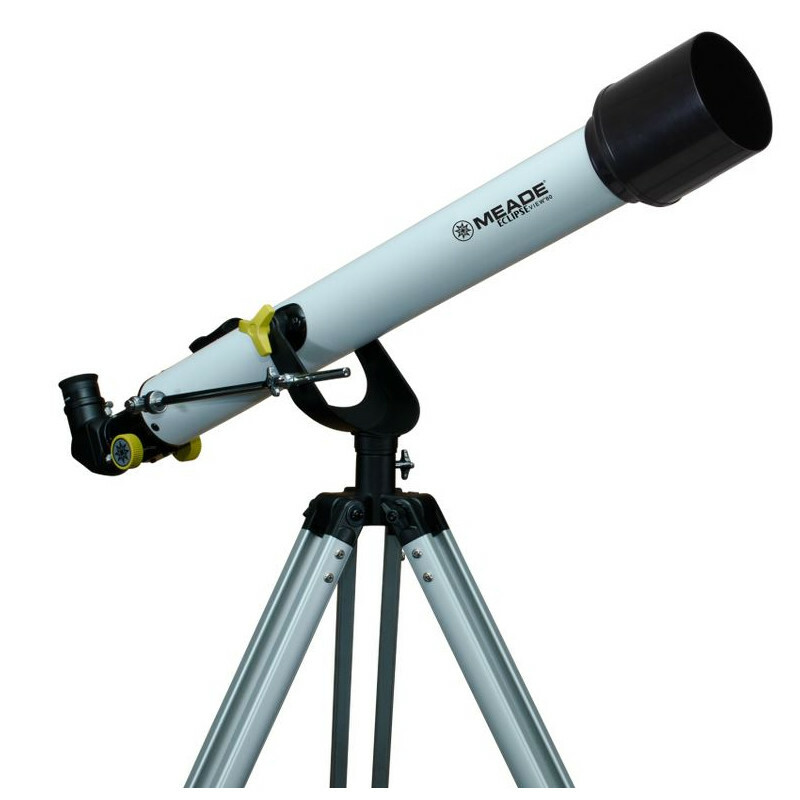 The low aperture ratio ensures a chromatic aberration free observing - so you can observe the Moon and the planets without irritating colour fringing. Refractor telescopes such as this are also particularly suitable for children, as the eyepiece is located nearer the ground and can be reached without needing a ladder. 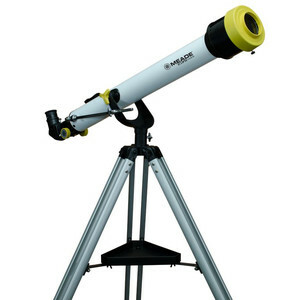 Also, operation is very intuitive and no collimation is necessary - a telescope for beginners and the entire family! 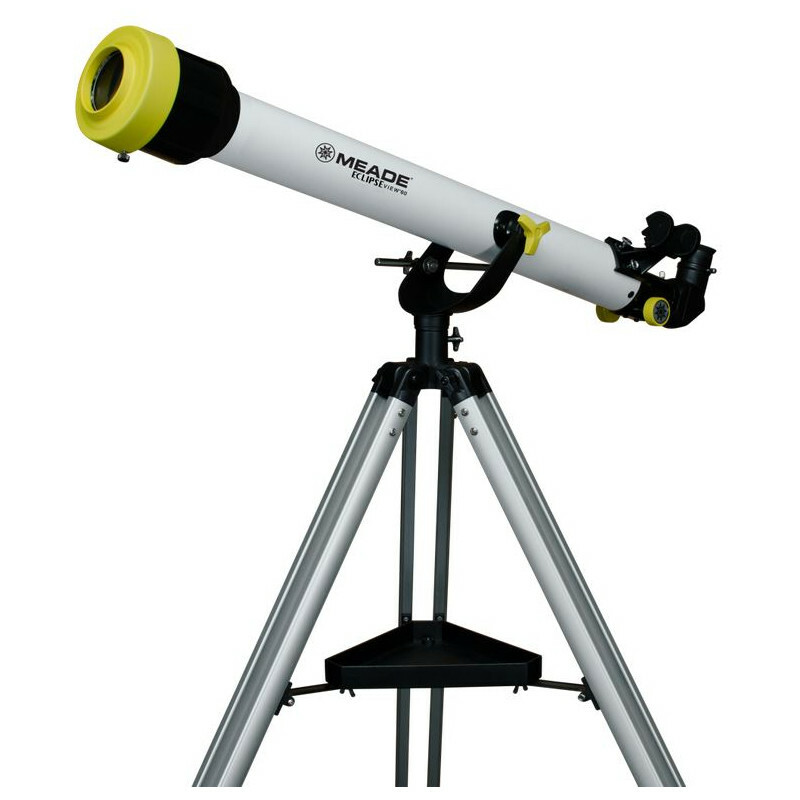 The AZ-1 Mount: This mount is very popular with beginners in astronomy as it is very simple to operate. The entire telescope is very easy to move around in both azimuth and elevation. 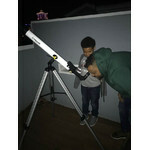 For beginners, it has the advantage that they do not have to worry about first aligning the telescope before use. Setting up the telescope is hence very quick and straightforward: Simply erect the tripod and mount, attach the telescope to it, and you are ready to go! The EclipseView series was launched by Meade specifically for observing the total solar eclipse on August 21, 2017, which was well visible in North America. Partial, annular or total solar eclipses are no global rarity. In 2019, for example, there will be three solar eclipses and one transit of Mercury. Lightweight EclipseView telescopes will fit into your luggage - make a solar eclipse your holiday goal! Included as a bonus - AutoStar Suite® Astronomer Edition software on DVD. This Windows operating systems software can show you over 10,000 astronomical objects. You can also use it to plan your observing and even print out star charts using it.